If you are anything like me, gift purchasing usually waits until the last minute! 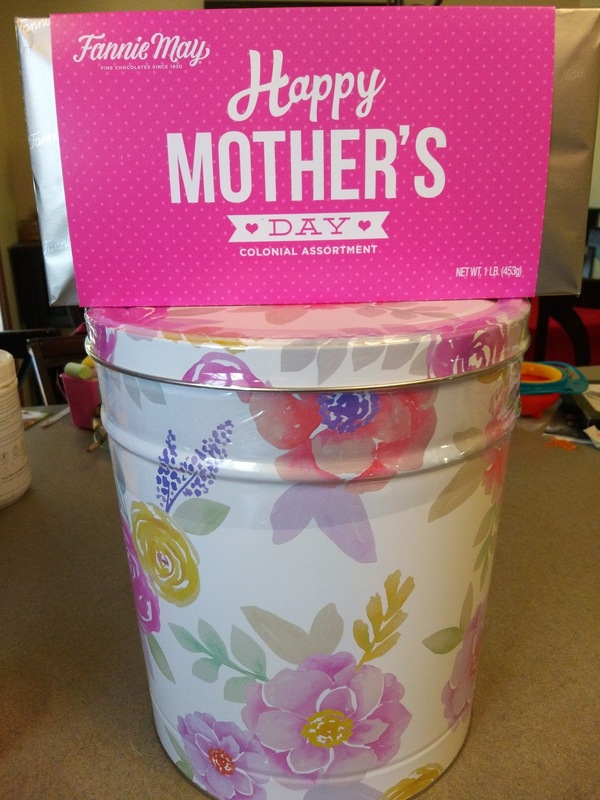 So, if you are just starting to think about what to get Mom this Mother's Day (it's coming up this Sunday!! 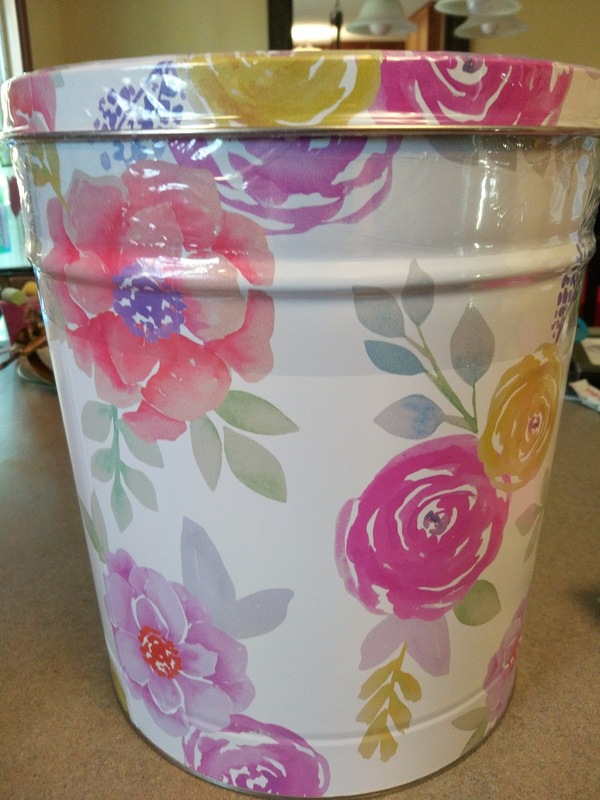 ), then let me recommend some great gift ideas from The Popcorn Factory and Fannie May! Mom will love this! These new Fancy Floral Popcorn Tins offer Butter, Cheese and Caramel for 3-flavor tins; White Cheddar is added for 4-flavor tins. 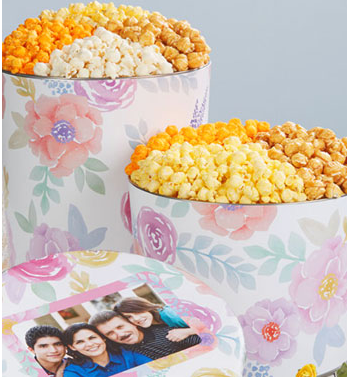 Plus, you can personalize this Popcorn Tin with the image of your choice, such as a memorable family photo, making it perfect for shared family consumption! Moms are always looking for a great snack after the kids go to bed and popcorn is a great treat for any Mom this Mother's Day! 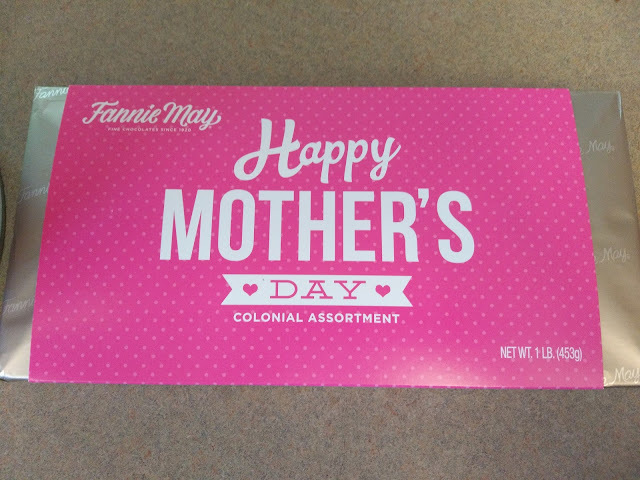 Almost every mom I know loves chocolate so this Mother's Day send Happy Mother's Day wishes with the best of Fannie May. This assortment features a selection of our signature tastes - from Pixies® and Trinidads® to toffees, buttercreams and crunchy nut clusters. This box contains so many different varieties that the recipient will be in chocolate heaven for weeks to come!